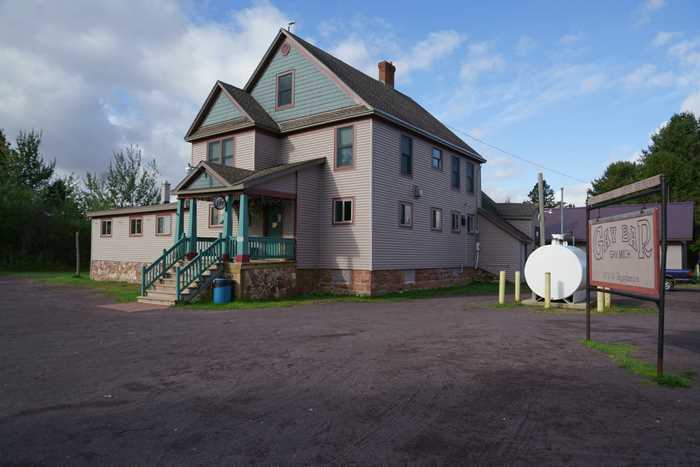 The Keweenaw Peninsula is packed with interesting towns with interesting stories, but none has a more interesting name than Gay, Michigan. This tiny community is far from the beaten path, but it’s worth the drive to see a Gay bar, Gay school, and some Gay ruins. Oh, and in fall, the Autumn leaves are quite spectacular out here. 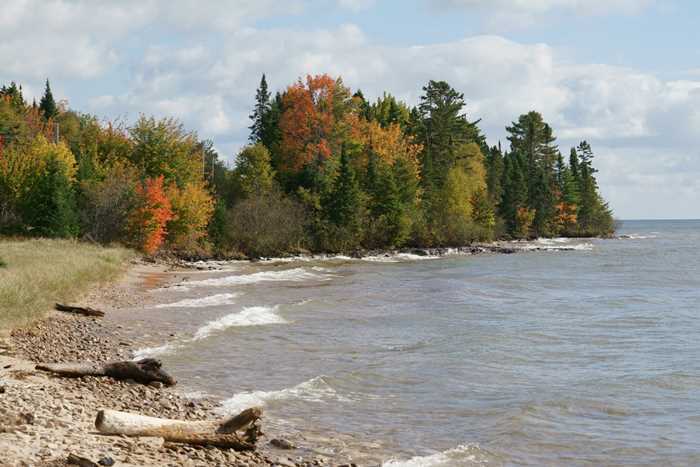 Gay, Michigan is located on the east side of the Keweenaw Peninsula, about halfway between Houghton and Copper Harbor. From US 41 at Mohawk, turn left onto 6th Street, which becomes Gay-Mohawk Road. As you leave Gay, I’d suggest driving up Gay-Lac La Belle Road. It follows the coast up to Bete Grise and Lac La Belle. 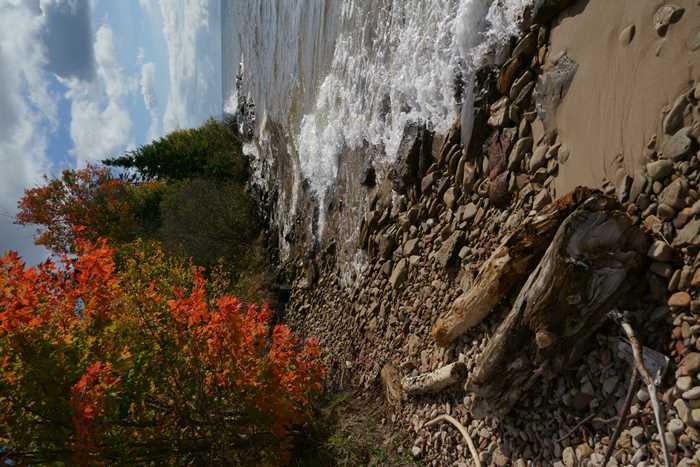 As Day Six began, I was anxious to see some areas of the Keweenaw that I hadn’t seen on the previous day. I was also hoping to see some fall colors, and I certainly chose a good road for both. Mohawk Gay Road runs between the two communities of Mohawk and Gay, Michigan, and aside from trees and a two-lane stretch of asphalt, there isn’t much out there. Finally, though, I got to see some of the Autumn leaves that I had been hoping for. Along this road, during the first week of October, the leaves were really starting to change. The fall colors were so great, I stopped along the road in a few places to take pictures. No other cars passed me while I was stopped. It’s only about 12 miles from Mohawk to Gay, but it feels like a world away. Once you arrive in town, there are just a few attractions to see. Of course, you’ll want to take a selfie at the Gay Bar (or maybe buy a t-shirt). 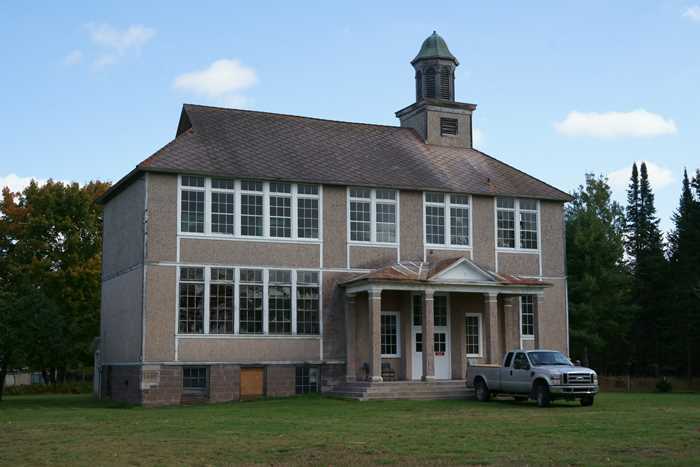 Across the street from the bar, you’ll find the Gay schoolhouse, built in 1927. It’s hard to believe now, but Gay was once a bustling town of 1,500 people, with railroad service, stores, a church, a doctor’s office, and baseball teams. And here’s the reason why. Just down the street from the bar and the school, a giant smokestack serves as Gay, Michigan’s only skyscraper. 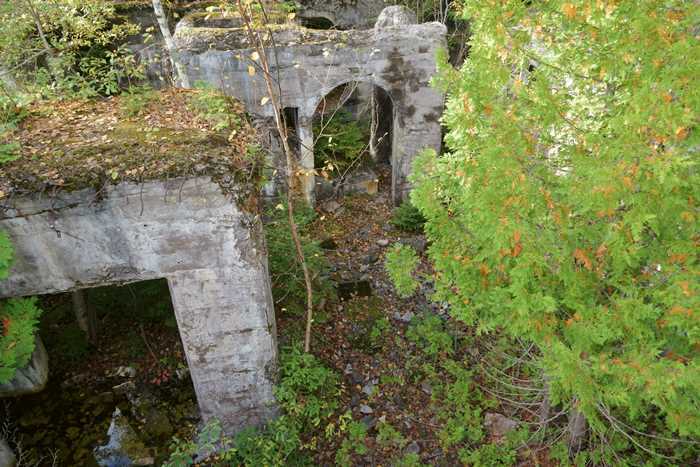 The Mohawk Mining Company built the stamp mill in 1898, and established the town by 1901. 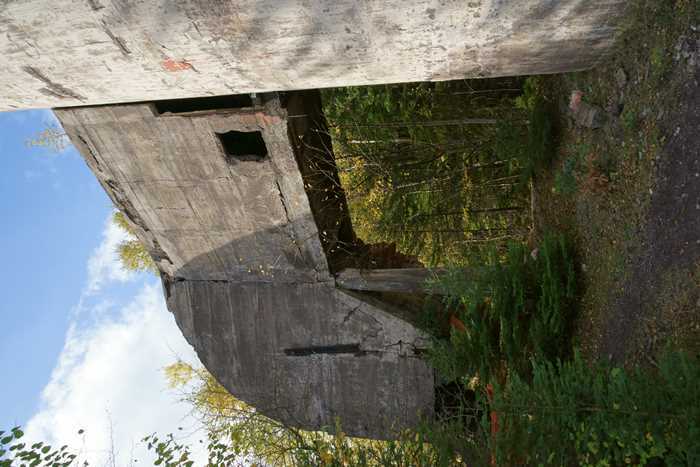 (Another mill, the Wolverine Mill, was also constructed). The mills operated until 1932, when falling copper prices forced them out of business. Gay has been on the decline since then. 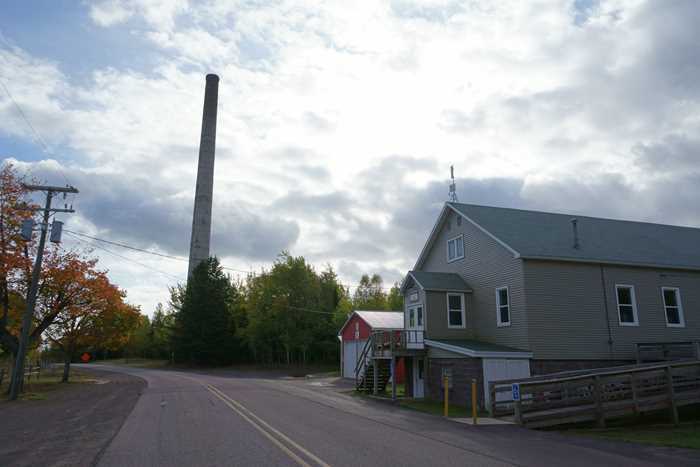 The old stamp mill and smokestack are surprisingly barrier-free, as are many of the historic sites around the Keweenaw. Of course, that kind of access invites some graffiti, but it also gives you to the chance to wander around the ruins for an up-close look. This structure connects to the smokestack. 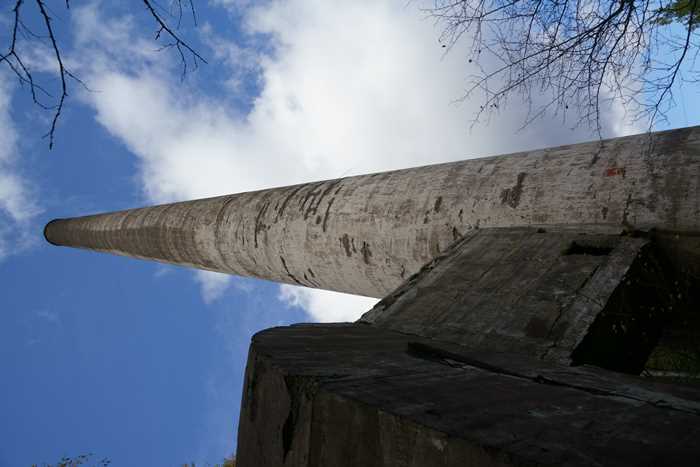 I’ve read that the smokestack was built in 1921, when earlier steel smokestacks were determined to be at risk of collapse. It’s 239 feet tall (225 feet of it is above ground). This one smokestack served both mills. From the foot of the smokestack, I wandered on over to the remnants of the mill’s concrete structure. These walls are mostly underground, although I assume with some exploring you could find your way down there. 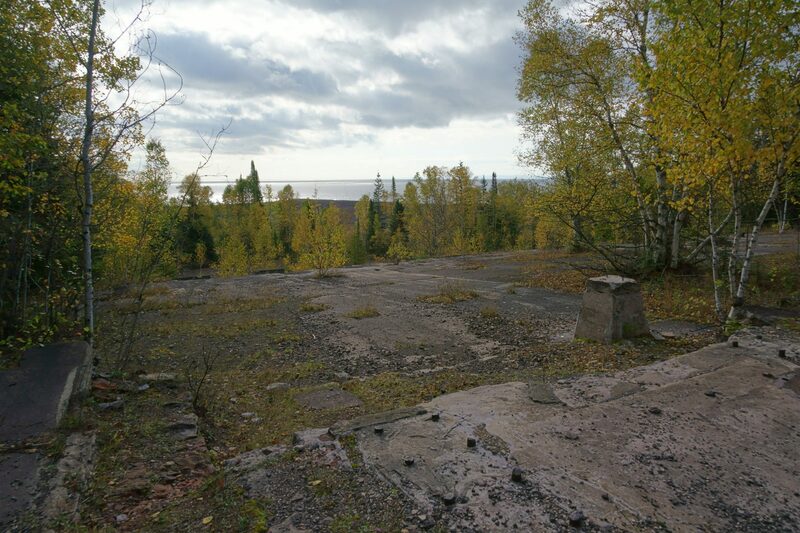 It’s somewhat hard to see in this picture, but if you look out towards Lake Superior while standing on the ruins, you’ll see an enormous sandy beach. It’s not a natural feature – that sand is a by-product of the mills. I think there is a way to walk down to the beach or even drive out onto it, but I didn’t think it was a good idea in my rental car. The scenic route out of Gay is the coastal route, up to Lac La Belle. You don’t always have a view of the lake, but there are some good spots to enjoy. Fortunately, I was still finding some good fall colors, even though I was close to the water. The best reason to drive out to Gay, Michigan is to say that you’ve been to a town called Gay. The second-best reason is to explore the old ruins at the base of the smokestack, which are open to the public and quite fascinating. 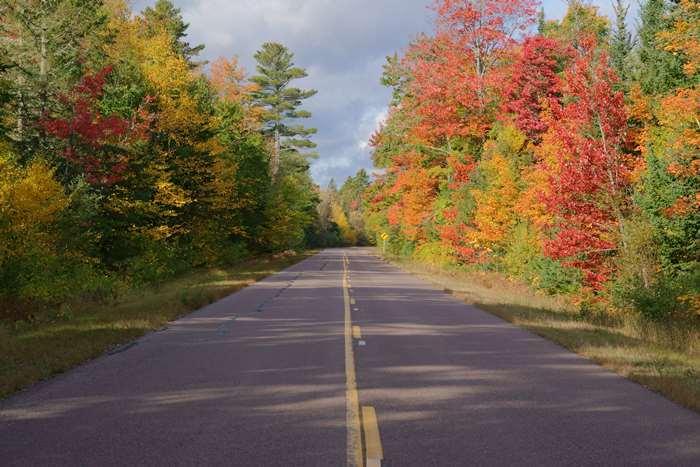 If you’re visiting in early to mid-October, you should also find some great fall colors along this route.